Hello, 2019! | Hello Saigon! Welcome 2019! Well, at least based on the Gregorian Calendar which we Filipinos follow. Last night, we stayed up till the wee hours of the morning to catch the fireworks (which we thankfully can view from our apartment!!!) while my son shouted Happy New Year to random strangers below. Our whole vicinity was — not a creature was stirring…not even a mouse! Ugh. I miss the rowdy new year celebration back home. 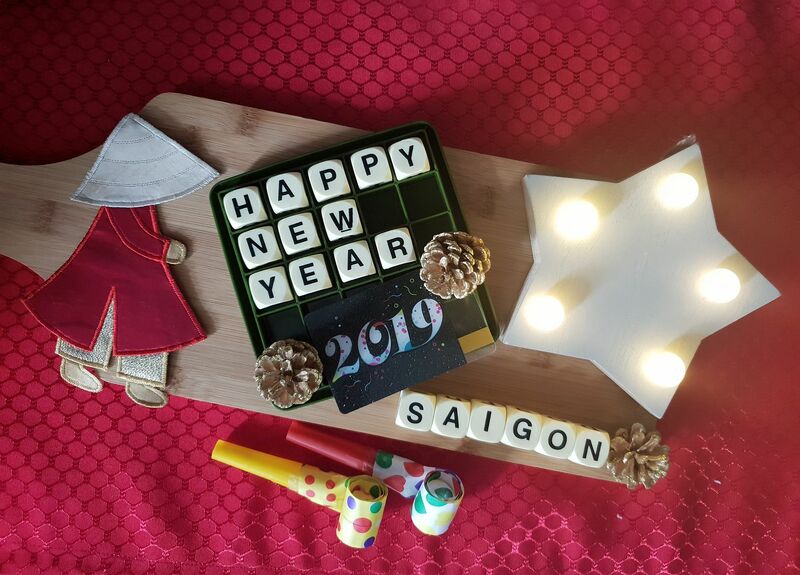 We stayed in Saigon for the holidays and it was such a quiet Christmas and New Year! If not for family visiting (read: in laws and my mom), it would have been an even more quieter holiday. 2018 started great for me honestly and then midway, I kinda stumbled, fell, rolled over, fell again and again. It was a roller coaster year, I tell yah! It ain’t finished with me yet so am really looking forward to Tet. I’m really hoping (fingers crossed and toes too!) that the Lunar New Year will be kinder to me. If and when I can get my footing back, I’ll tell you all about it. However, despite the tumbles and bungles of 2018, it was such a year full of GRATITUDE. My love tank was full and sometimes even overflowing with the immense goodness of people has shown me. It is really when it’s the darkest can you see the stars. And so this 2019, I carry with me a hopeful spirit that I am sure will help me conquer what else is before me. AJA 2019! But please, pretty please, be nicer to me. 4 Responses to Hello, 2019! Happy New Year from Vancouver BC Canada! Happy new year! Thanks for dropping by! Vietnamese is from Vietnam Quilts while the star is from Peony Home.